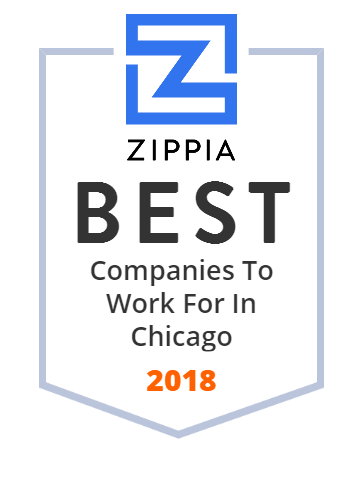 We hand-curated a list of the best companies to work for headquartered in and around Chicago, IL using data on salaries, company financial health, and employee diversity. JBT Corporation is an American food processing machinery and airport equipment company. JBT Corporation was incorporated in 2008 when FMC Technologies divested its non-energy businesses. JBT Corporation is based in Chicago, Illinois. Its Airport Equipment Division manufactures and services the Jetway brand of airport passenger loading bridges and other Ground Support Equipment such as Cargo Loaders, Deicers and pushback tractors. S&C Electric Company is a global provider of equipment and services for electric power systems. Founded in 1911, the Chicago-based company designs and manufactures switching and protection products for electric power transmission and distribution. The American Dental Association has more than 161,000 ADA members from all 50 states. All the ADA member dentists continue to raise the bar for the profession. The ADA is a member-run organization managed by an elected Board of Trustees and a 480-member House of Delegates. EVRAZ plc is a multinational vertically integrated steel making and mining company with headquarters in London, United Kingdom. Century Aluminum Company (NASDAQ: CENX) is a US-based producer of primary aluminium, with aluminum plants in the US and Iceland. It the second-largest producer of primary aluminium in the United States, after Alcoa. Since 1996, since the company went public in an IPO by its parent Glencore, the company has been a publicly held corporation listed on the NASDAQ. The headquarters is at One South Wacker in Chicago. Wirtz Corporation is a United States holding company headquartered in Chicago, Illinois. It was founded in 1922 by Arthur Wirtz as a family-owned corporation to oversee his real estate holdings. The company shortly thereafter expanded into liquor distribution. The company grew significantly throughout the 1900s by purchasing many competing liquor distributors, as well as the Chicago Blackhawks NHL team (becoming full owners in 1966), and the Chicago Bulls NBA team in 1972 (Wirtz Corp. sold the Bulls to Jerry Reinsdorf in 1985). Wirtz Corporation is part owner of the United Center arena, and also owns banking and insurance interests. Coeur Mining, Inc. is a precious metals mining company listed on the New York Stock exchange. It operates five mines located in North America. Coeur employs 2,200 people and in 2012 it was the world's 9th largest silver producer. In 2013 the company changed its name to Coeur Mining, Inc. from Coeur d'Alene Mines and moved its head office to Chicago, Illinois from Coeur d'Alene, Idaho. Oil-Dri Corporation is a worldwide leader in producing, marketing and selling high-quality sorbent products for consumer and business to business markets. The Heico Companies, LLC., through its subsidiaries, operates manufacturing, construction, and industrial services businesses worldwide. The company manufactures material-handling systems for air freighters and passenger aircraft; cargo securement systems for the transportation needs; cargo control products for original equipment manufacturers, fleet owners/operators, farm and agricultural, moving and storage, recreational vehicle, automotive, and government and military customers; wear-resistant surface treatments; power products; CNC machining for automotive and aerospace components, and military assembly needs; cargo load handling products to the consumer, commercial, motorsports and professional fleet transportation industries; capital equipment for the steel sector; and thermal management products. It provides land-based piling, marine, and civil contracting; concrete form and frame works; concrete flatwork packages for construction needs; pre-construction value engineering; electrical contracting; post shore system works; reinforced concrete subcontracting; and structural steel framing fabrications. The company manufactures steel wire products, fasteners, steel wire rods, strand and cable products, and hot-rolled wire rods. It also manufactures material handling loaders and mobile site preparation equipment; knobs, handles, cases, and custom plastic components; equipment for tire, and wire and cable sectors; venting, draft control, and combustion air products for the HVAC industry; drain and sewer cleaning equipment; process machinery for tire and rubber industries; electro-mechanical and water jet equipment for cleaning drains and sewers; shorthand machines and computer-aided transcription software for the court reporting industry; reinforced steel belts and fabrics; and replacement parts. The company was formerly known as Heisley Investments, L.L.C. The Heico Companies, LLC. was founded in 1979 and is headquartered in Chicago, Illinois. Delmarva Power is an energy company that provides electricity and natural gas to customers on portions of the Delmarva Peninsula in the states of Delaware and Maryland. The company is a subsidiary of Exelon. Ryerson is a metal distributor and processor that was founded in 1842. Headquartered in Chicago, they also have approximately 100 locations throughout North America and beyond. They offer coil & sheet processing, plate processing, structural processing, tube laser cutting, bar drilling and supply chain services, to name a few. This company has more than a billion of reported revenues. An Industrial Holding Company providing a platform for global growth. NM Group Global LLC is a holding company for a growing group of manufacturing firms. MedPlast Holdings Inc. is a holding company operating through its subsidiaries that design, engineer, and produce precision custom molded thermoplastic, rubber, and elastomer components and molds for the healthcare and pharmaceutical, and consumer/industrial markets. The company was incorporated in 2007 and is based in Chicago, Illinois. We are Schold-a Chicago-based manufacturer of industrial mixing equipment. Our products include high-speed, low-speed, bench-top and rotor stator mixers, blades, tanks, press-outs, mills, controls and systems. Richmond Gear hot rod and racing transmissions, gearsets, ring and pinion gears, and axles. Empire Hard Chrome Plating is North America's Precision Industrial Chrome Plater of Molds, Large Rolls, Drums, Machine Parts, Piston Rods, Dies, Blasting, Polishing, Stamping Dies.